Just completed (March 2019) …. 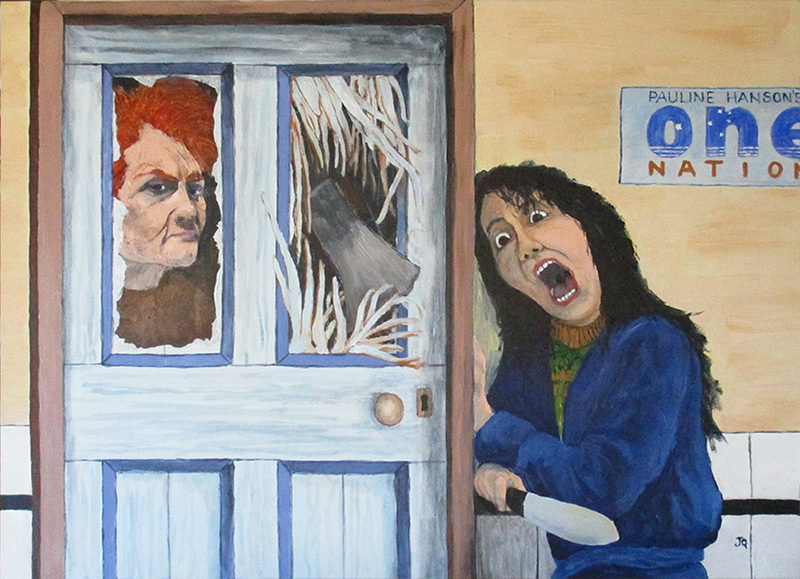 my latest piece for the Upcoming Exhibition at the Emu Park Art Gallery. The new “Mad Artists Tea Party’ Exhibition will feature fun works with the artist escaping from their comfort zones. Moi, I think I am definately entering my comfort zone. Horror Movie Buffs might have an idea about this one. 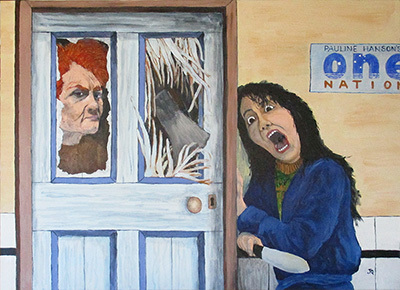 I am calling this one “The Shining of Pauline”. It is an acrylic on cavas, 70cm x 50cm. This is right up my alley.